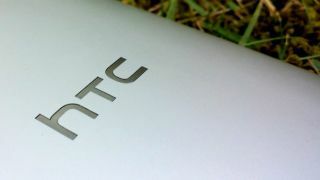 Details on the follow-up to the HTC One smartphone, codenamed the HTC M8, are beginning to leak out, including a likely release date. AT&T, Verizon, Sprint and T-Mobile will apparently all be signing up for the Taiwanese company's next flagship smartphone, according to new info out today. "All four carriers, end of Q1 '14," tweeted @evleaks, indicating the HTC One Two release date is going to happen early next year on the US networks - and likely the rest of the world too. Earlier, the same leak-filled Twitter account suggested pretty much the same thing: "HTC M8 unsurprisingly destined for AT&T, among others." One year after HTC One? The M8 moniker would make sense for the HTC One follow-up, as the company's 5-star-reviewed phone carried the M7 codename. The "end of quarter 2014" release date would also be appropriately timed. HTC began launching its flagship Android handset in March of last year. Still, there's no telling if the M8 will be a simple refresh or the true sequel to the HTC One. Previously reported specs tipped the HTC M8 with a Qualcomm Snapdragon processor, 3GB of RAM, the device maker's Sense 6.0 interface and a screen size of about five inches. The HTC One has a Snapdragon 600 quad-core processor, 2GB of RAM, Sense 5.0 UI, and a 4.7-inch screen. Recently leaked HTC M8 photos suggest the back casing of the phone sports a hole for a fingerprint sensor or second camera lense. However, no rumors were attached to the spy shot to indicate what will fill that opening. If the HTC M8 materializes early next year, we'll find out soon enough. Read how this HTC One follow-up may be the first Sense 6.0 phone.